These blocks are still on my design wall this week. 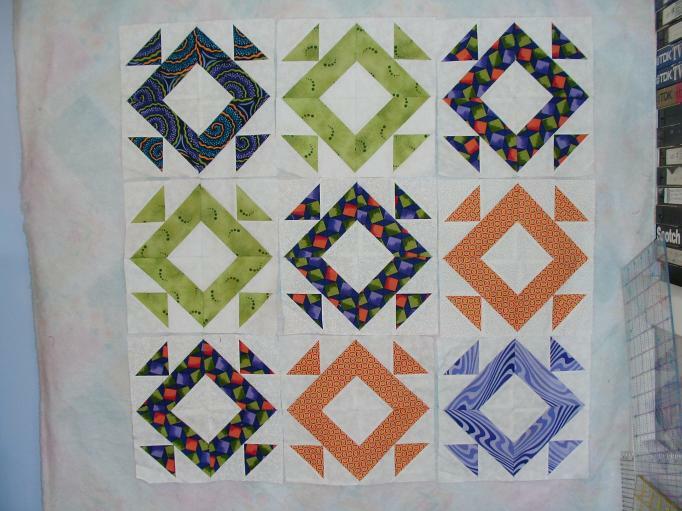 Please take a look at Judy’s blog to see what other quilters have on their design walls today. I thought I liked this without sashings, but look at it with the sashing, I think that really gives it interest! Beautiful! I like it either way. It has a secondary design in both settings that are interesting. What size do you want it to be? Maybe that will help decide how you want to set it. I made some similar looking blocks this week! I like the design without the sashing since I see a repeating diamond pattern. I know you have the colors set up so that the similar fabrics are on a diagonal, but what do these options look like? I flit when I am cleaning mostly, and what happens is that it seems nothing is happening until all of a sudden everything is done at once. 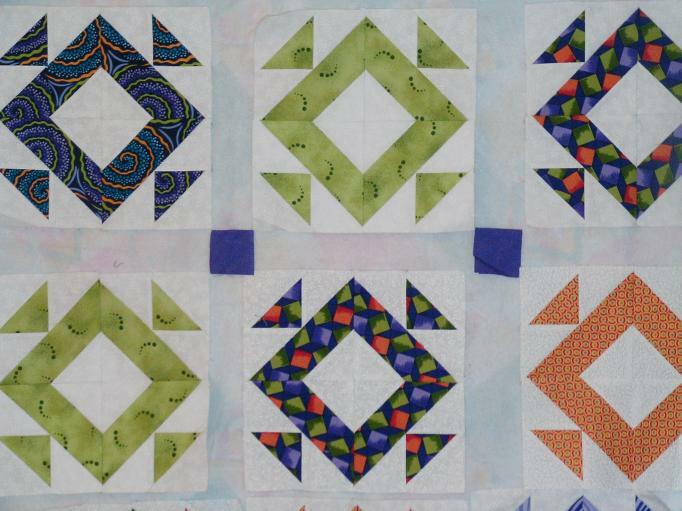 That’s probably what would happen with your quilting, but if you need to see progress then put everything else away. I like the quilt with the sashing better. I love the blocks without the sashing. I like the secondary design of the square made by the 4 different colored triangles. I vote for a neutral type sashing. Check my last post, I have put a top made of 9 patches set with a tan sashing. Simple, but I think it sets the blocks off. Without the sashing, by all means! ;o) Love the bold, happy fabrics.